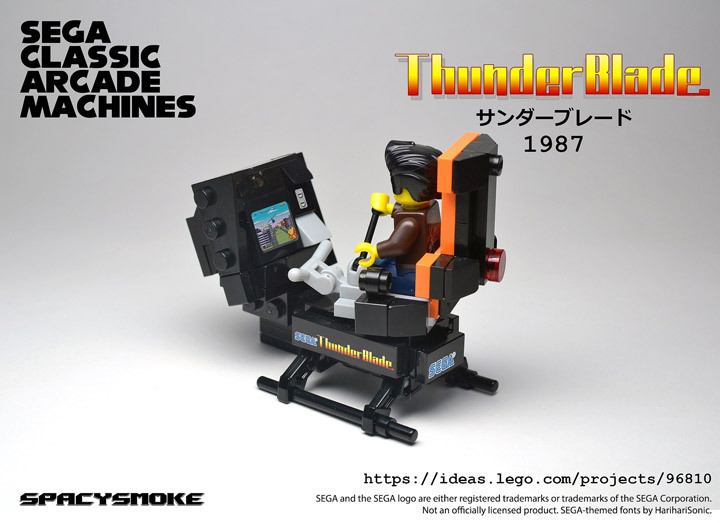 These Lego Classic Sega Arcade Machines Are Radical! Some of the most impressive Arcade Machines in the 1980s and 1990s were from Sega. They were the masters of the oversized deluxe cabinets. 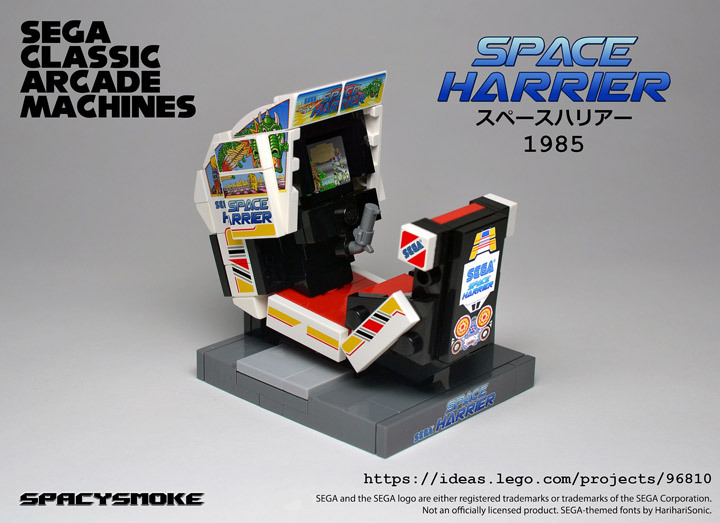 SpacySmoke has recreated some of the iconic cabinets in their Lego Sega Classic Arcade Machines series. 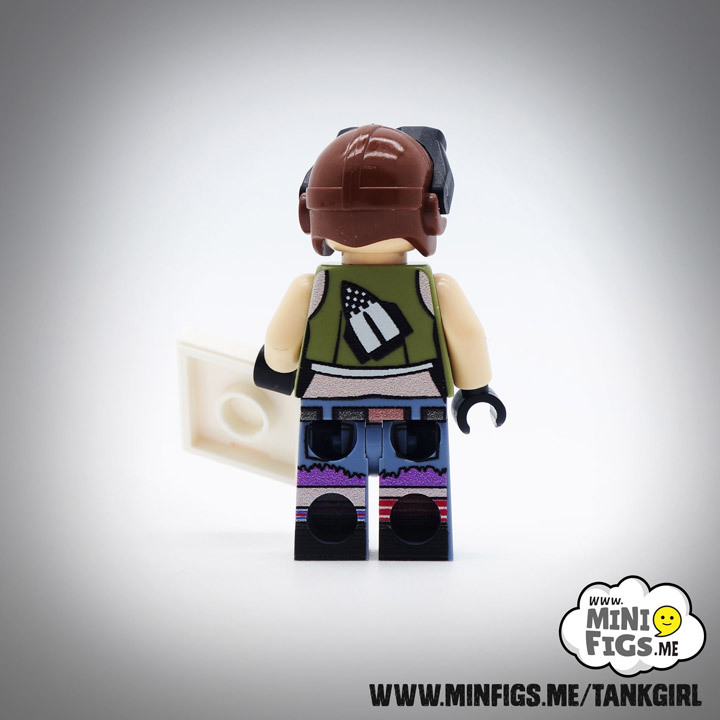 These are built in scale for Minifigures. 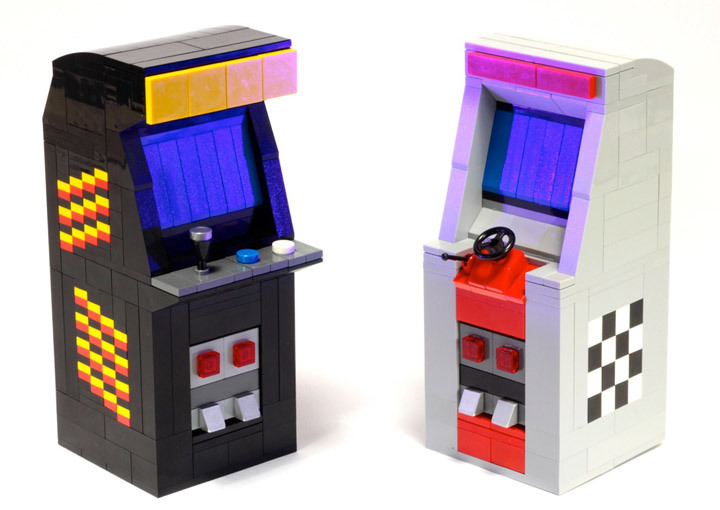 They would fit right in with the Lego Dimensions Midway Retro Gamer. 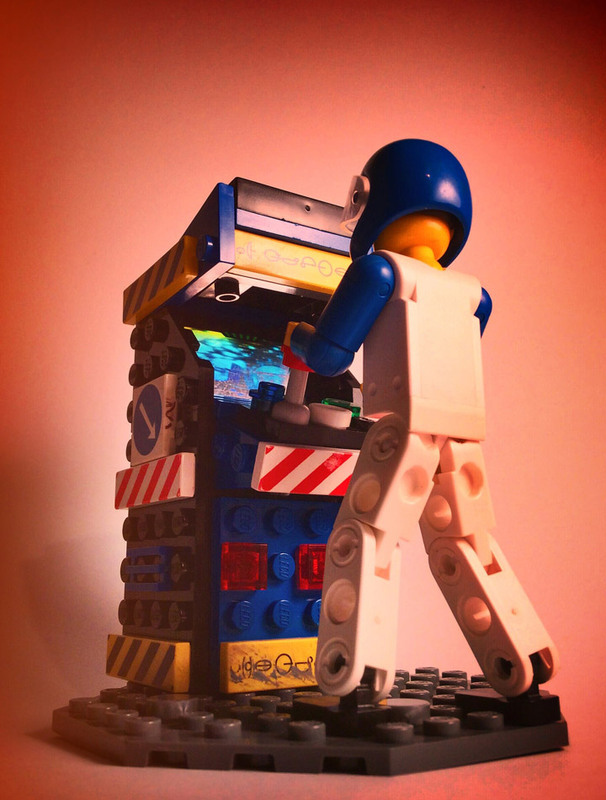 A whole Lego arcade could be put built, where your Minifigs can spend Saturday nights. There are four Sega Arcade machines. They are all based on the deluxe versions. 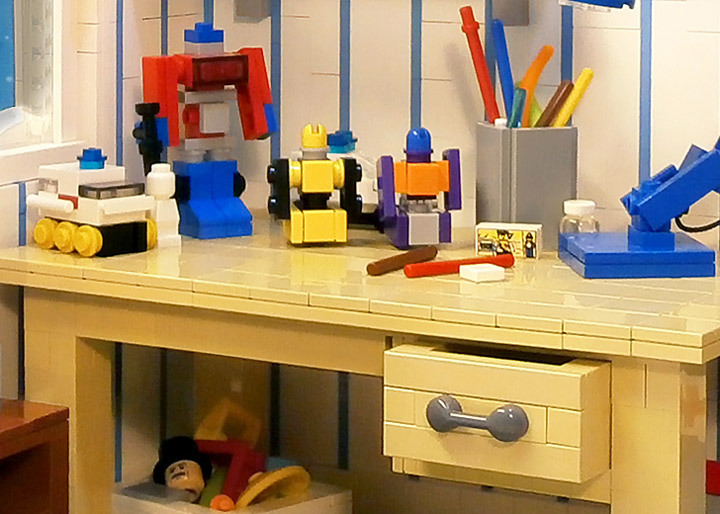 One awesome detail is that these Lego MOCs replicate the movements of the real life cabinets. 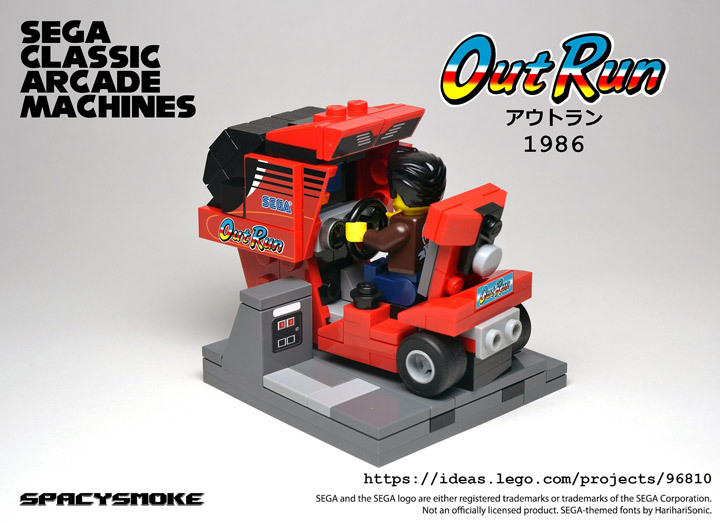 Out Run (one of the most famous racing games) features a Lego model that moves left and right. Just like the real game. Space Harrier (a weird shooter game) can move up, down, left, right and tilt. Thunder Blade (a helicopter game) can rotate. 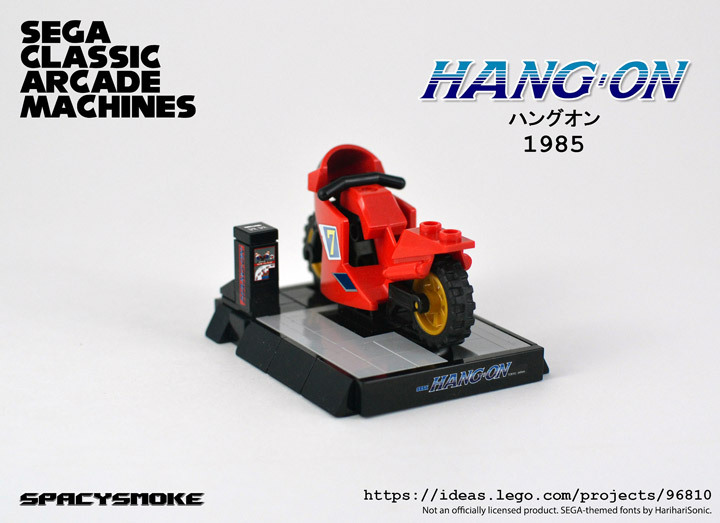 While Hang-On (a motorcycle game) tilts left and right. 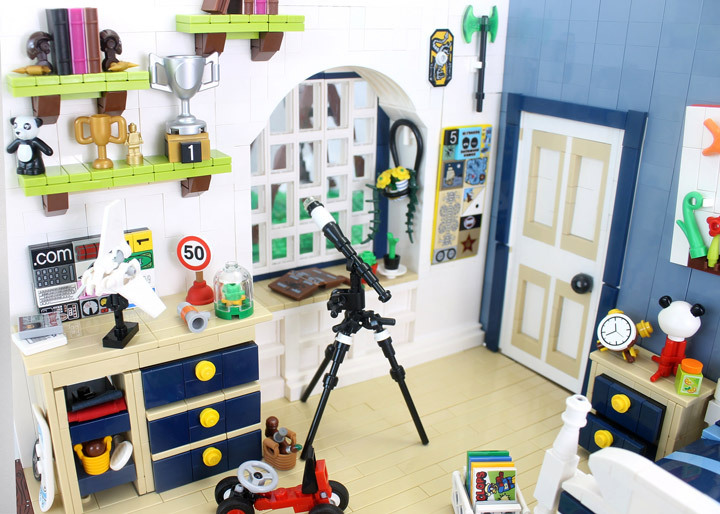 Lego rooms are quickly becoming a popular theme in the MOC world (here). The newest room is the creation of César Soares. 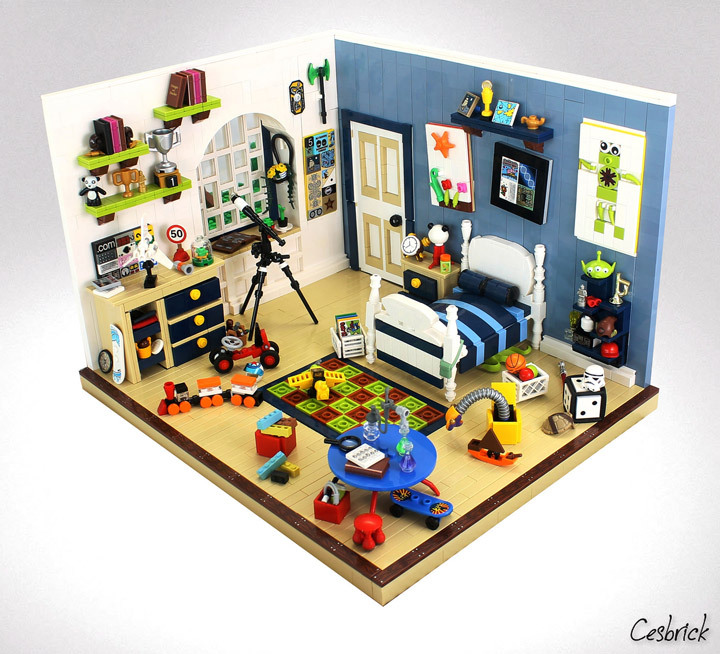 What separates this Lego Kids Room from the others is the massive amount of decoration. There are Lego built posters, trophies, books, book ends, mini Lego models, a telescope, train, boat, etc. There is even a Lego built rug in the center, which is an ingenious solution, using texture to create a quilted pattern. 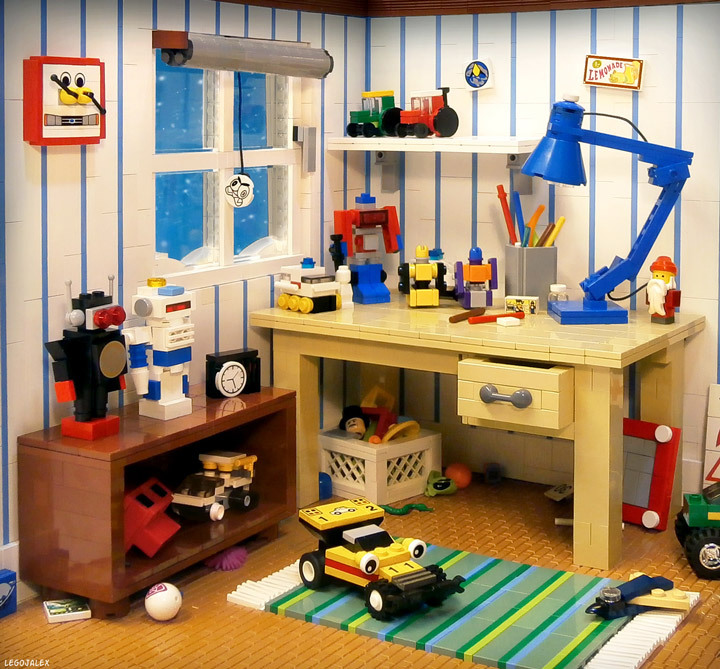 This MOC is a good representation of the “ideal” boys room. This whole thing is rad. The poster with the green Lego alien is an especially good detail. “This was made a few weeks ago but I was waiting for some modulex. Today I was able to get some and took some quick shots of the MOC. 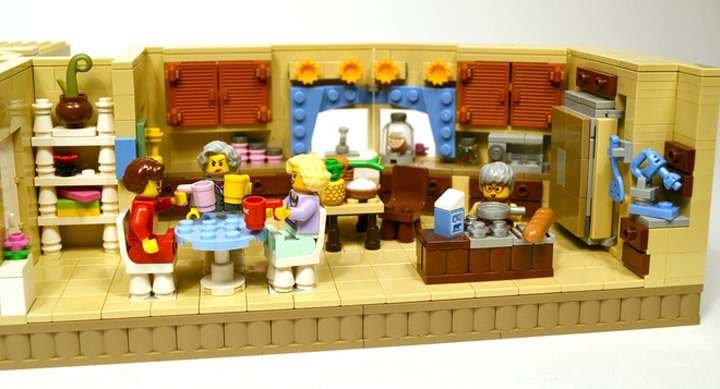 The Golden Girls Lego Living Room and Kitchen Modular Set is the creation of lostsleep. It took this Lego Ideas project only a few weeks to obtain over 10,000 supporters. The show set is about as accurate to the classic television show as you could expect. It features the iconic round table, a foyer, and living room all set up like a live television show set. You just need to add your live audience, cameras, and production crew. The four main women are instantly recognizable. You have Dorothy, Rose, Sophia, and Blanche. This is such an awesome set, and I cannot wait to see what the official Lego response will be! 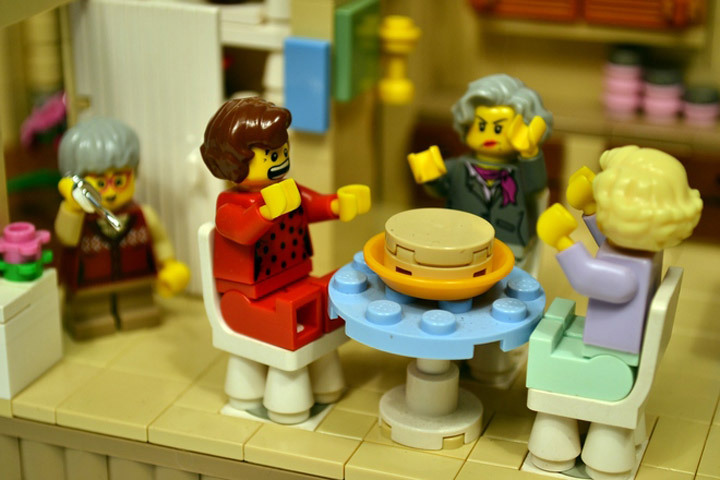 “This is a recreation of the Golden Girls House used in filming the popular 1980’s show that is still watched daily around the world. It is the Foyer, Living Room, and Kitchen built like a TV set, with one wall removed and a full view into the space. 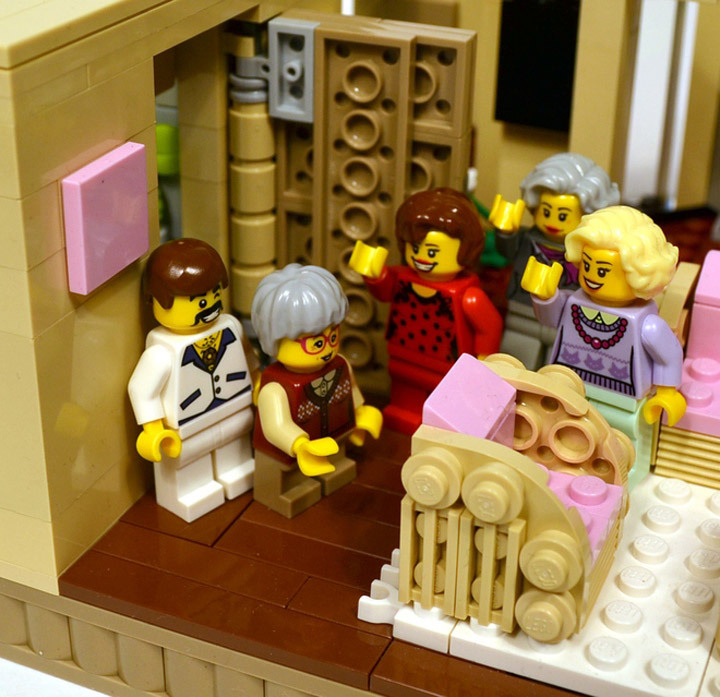 It comes with 5 minifigures including Dorothy, Rose, Sophia, Blanche, and Stanley. It has been meticulously recreated to have opening cupboards and fridge in the kitchen, Wicker Sofa and Chairs, a hallway backdrop, a storage closet in the kitchen, and an outdoor area with potted plants and a hose. 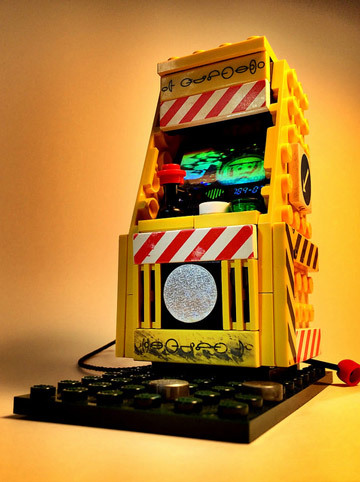 Lego Arcade Machines. 1980s Style. Do you have fond memories of Space Invaders, Donkey Kong, Pac-Man, Zaxxon, and Street Fighter 2? 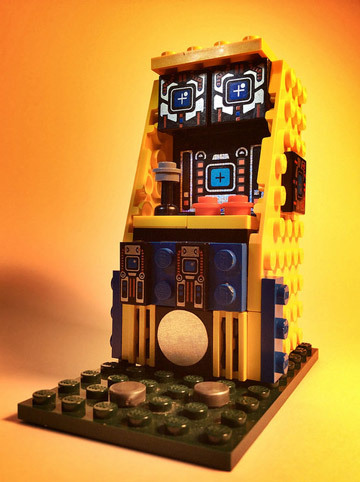 BreaksBricks does, and has created an amazingly rad Lego Arcade over on Lego Ideas. 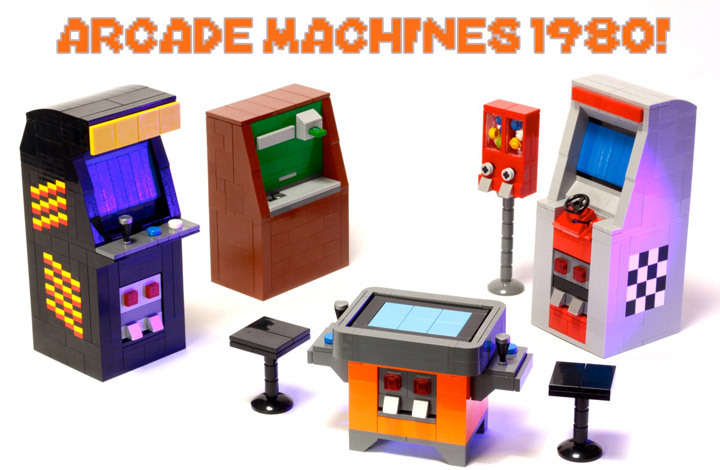 Their Lego “Arcade Machines 1980!” contains all the pieces to create your own Arcade. These would also fit in at any Pizzeria or Movie Theater. These Coin-Ops even include a money changer and gumball machine. These machines have been created for maximum nostalgia but an interesting proposal makes them sticker friendly. Meaning you could create your own stickers to transform these cabinets into your favorite games. 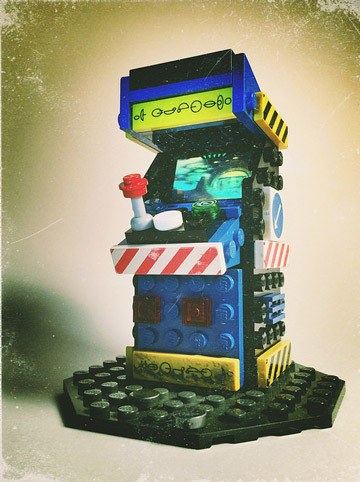 Surprisingly Lego and the classic Arcade Machines go together pretty well. There are many different creations out there. Classic gumball machine filled with 1×1 round plate gumballs! You can build almost anything out of Lego. Including extremely detailed model replicas of bedrooms. 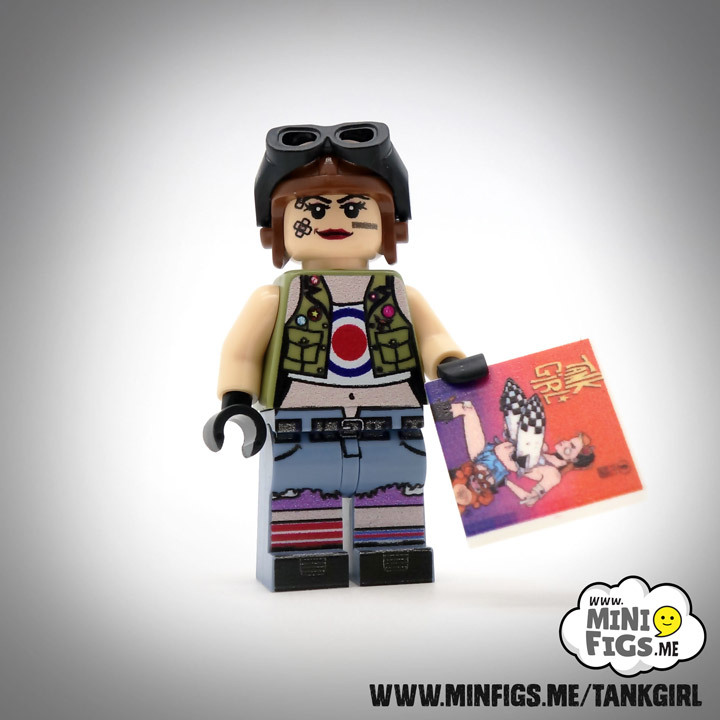 It is easy to say that a huge chunk of the Adult Lego fans grew up in the 1980s. This was a decade that is responsible for some of the most famous Lego sets out there. Including Lego Pirates, the Lego Monorail, and a good chunk of Classic Space. All of these sets were assembled in bedrooms across the world. 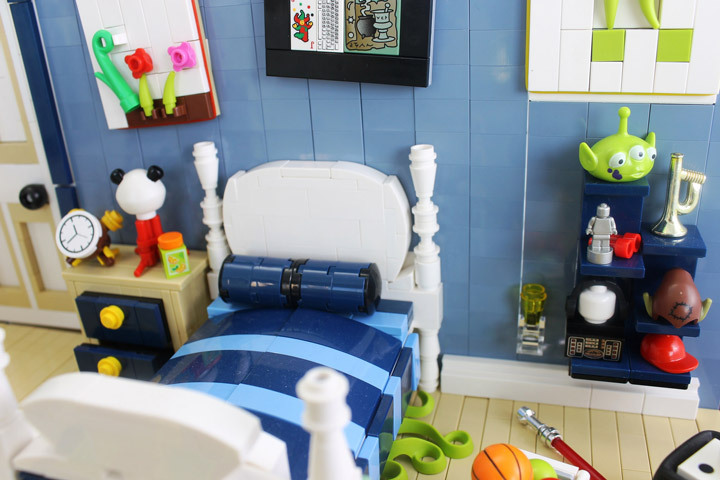 LegoJalex has created an amazingly detailed replica of a stereotypical 1980s bedroom. Everything in this kids room is Lego. 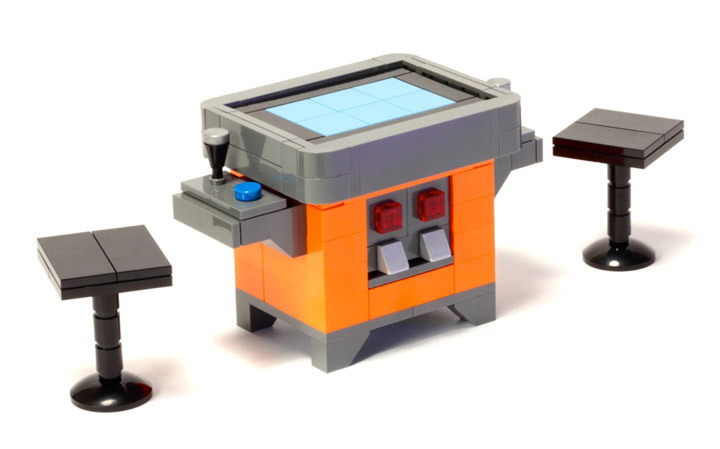 There are Lego versions of an Etch A Sketch, View Master, an RC Car, robots, and even a model builders desk. Everything is impeccable. Check out the fringe of the carpet, made from white Lego grill pieces, the slightly messed up look helps sell this as a well loved kids room. Ready your plastic Lego coins. A new arcade is about to open. 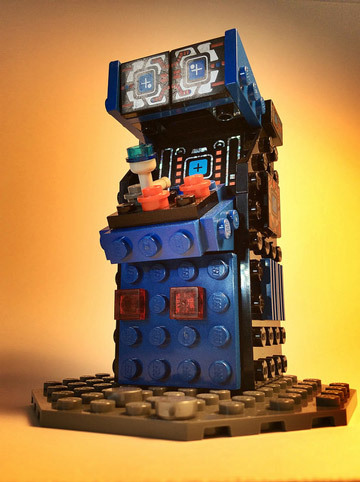 Joshua Drake has created a whole series of Lego Arcade Machines. 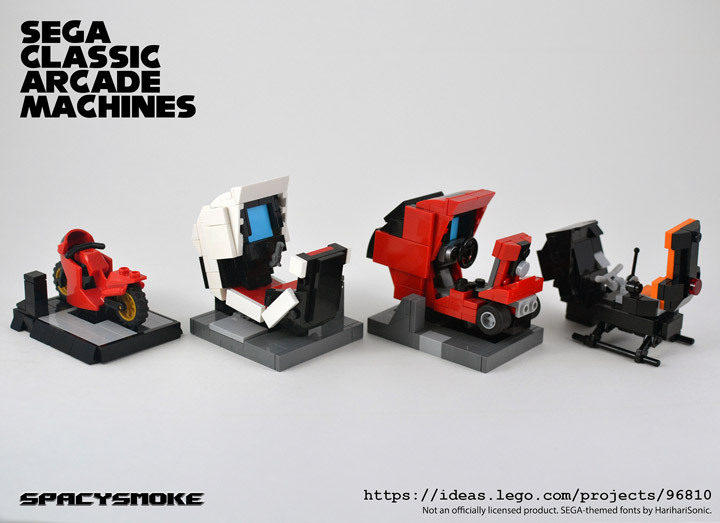 These video game machines have been sized to fit the Lego Technic Figures. These figures were featured in some of the Technic sets between 1986 and 2001. Their taller stature is a perfect match. If you look closely enough you can see that the hands line up perfectly with the arcade joystick and buttons. These are not the clean cabinets made today, these arcade machines are dirty, with some scuff marks and scrapes applied to the Lego pieces. Even the studs-on-top design help the cabinets achieve their 1980s retro look. 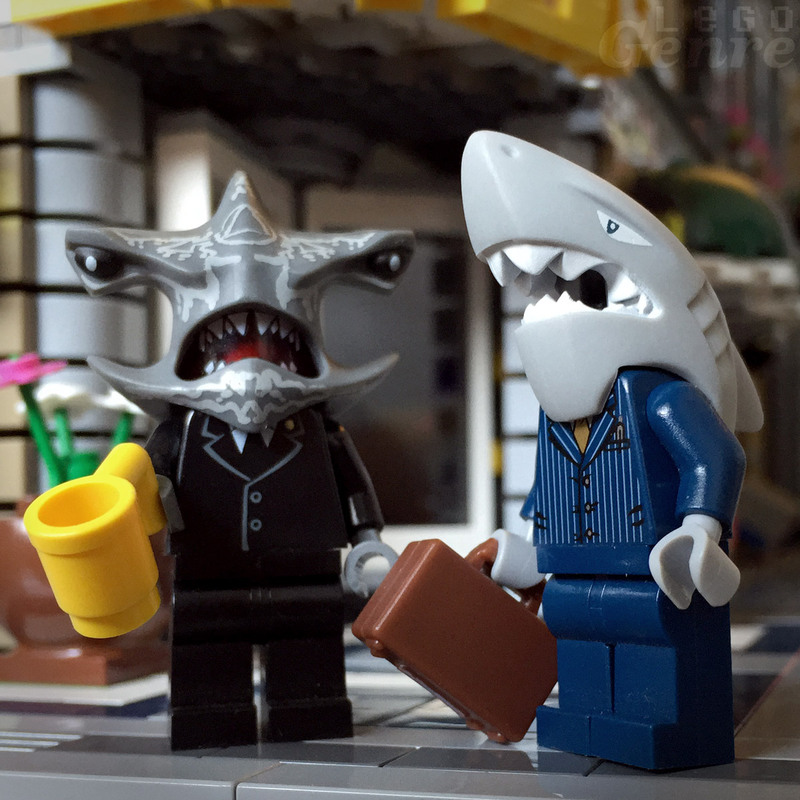 LegoGenre | 00394: Sharks Are Winners. Sharks are winners, and they don’t look back because they have no necks. Necks are for sheep. Lego has a few sets that will forever be remembered. Each of the Lego themes have had a few of such sets over the decades. 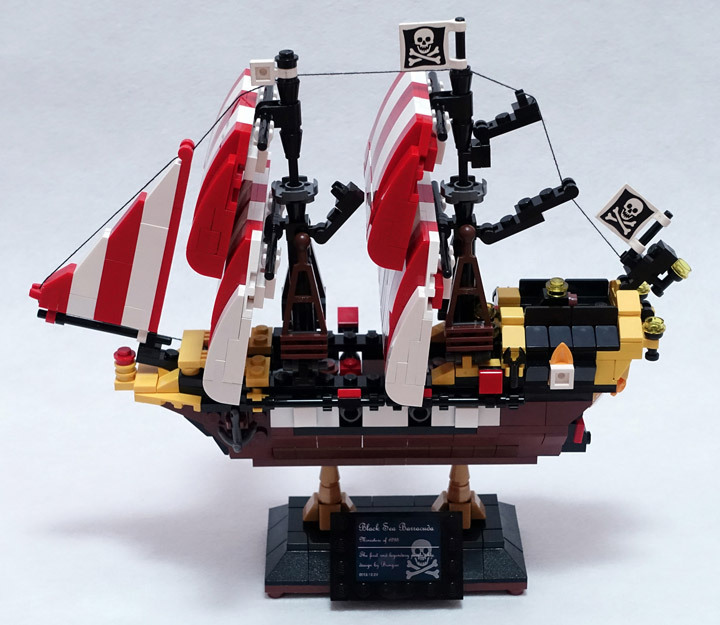 For Lego Pirates the most famous set is the Black Seas Barracuda (6285) from 1989. There was even a rerelease in 2002 called Black Seas Barracuda (10040) which had a few different pieces, but ultimately looked the same. These two sets are 13 years apart. Applying this information to today, it would mean that 2015 is due for another release. Maybe a mini Barracuda could happen. 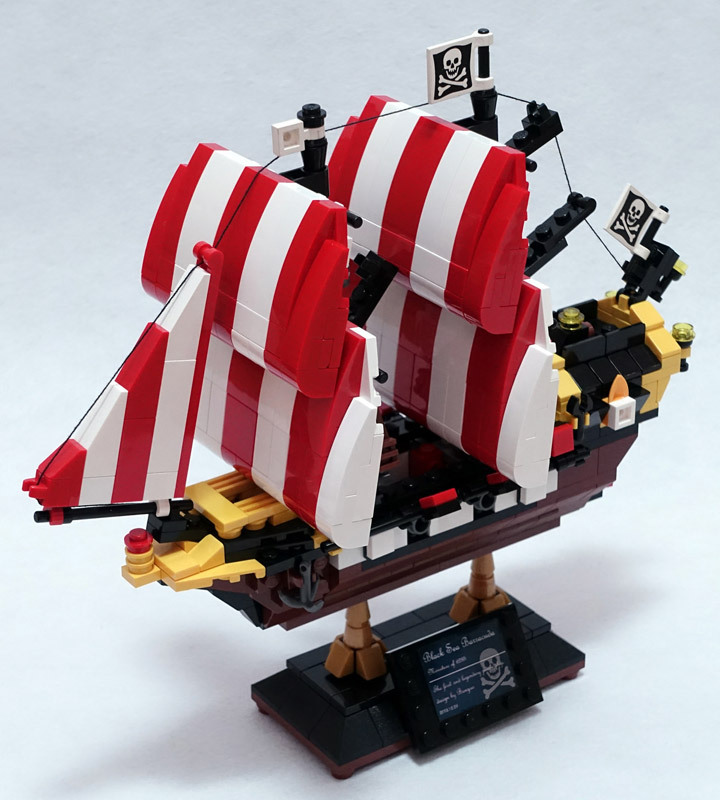 This example has been created by Bangoo H. The Mini Black Seas Barracuda has perfectly built brick sails, two mini pirate flags, and even some basic rigging. Everything about the original is represented here, even anchor. Maybe someday we will see an official Lego Mini Barracuda… maybe. If one Lego theme could sum up the 1980’s it would be Blacktron. 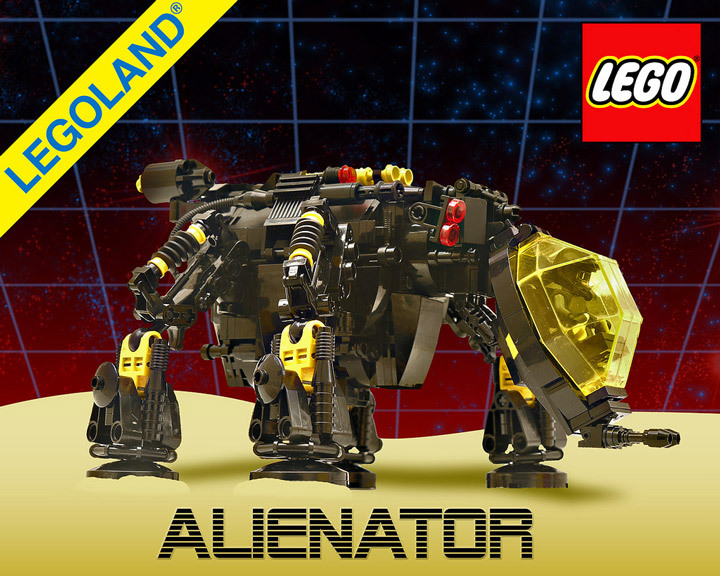 Jeremy Williams has created the Alienator, a Neo-Blacktron reboot of official Alienator (6876) from 1988. The iconic black and yellow color scheme, the laser gridded star field, and the clunky design is all perfectly represented. The first thing to be updated were the swinging skies which are now four hydraulic legs. 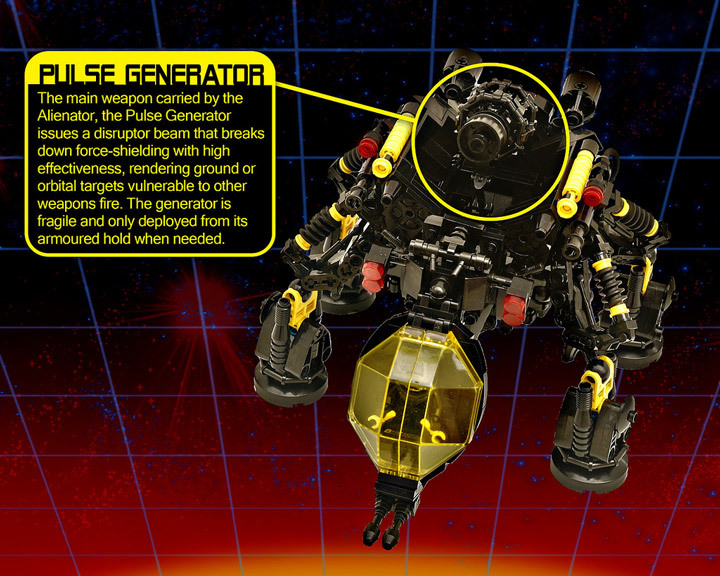 One of the best features of this walker is the hidden Pulse Generator hidden in the central body.